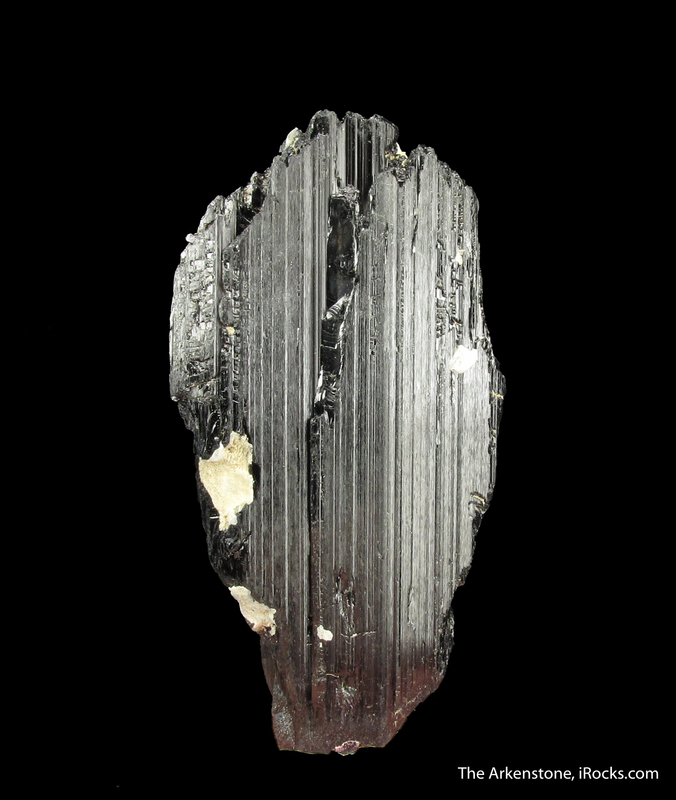 These two species are virtually indistinguishable, and chemically they vary by just a few atoms. 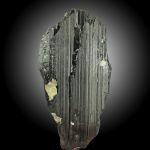 And whichever this truly is, it is quite rare for Pakistan. 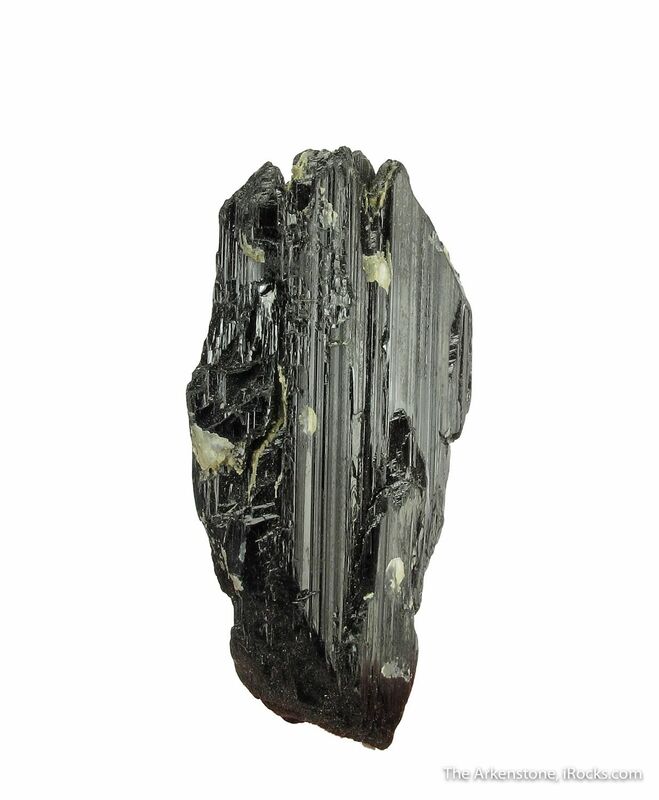 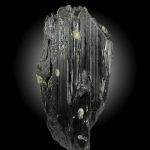 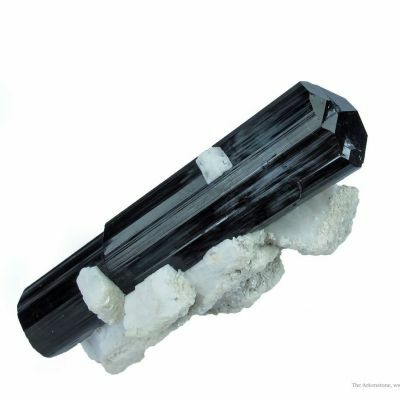 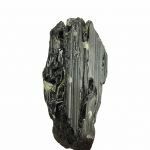 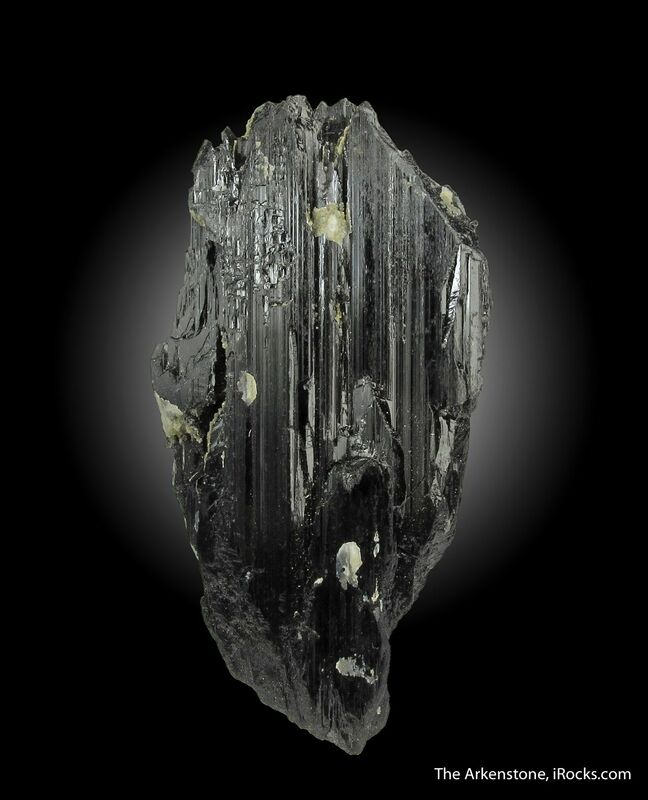 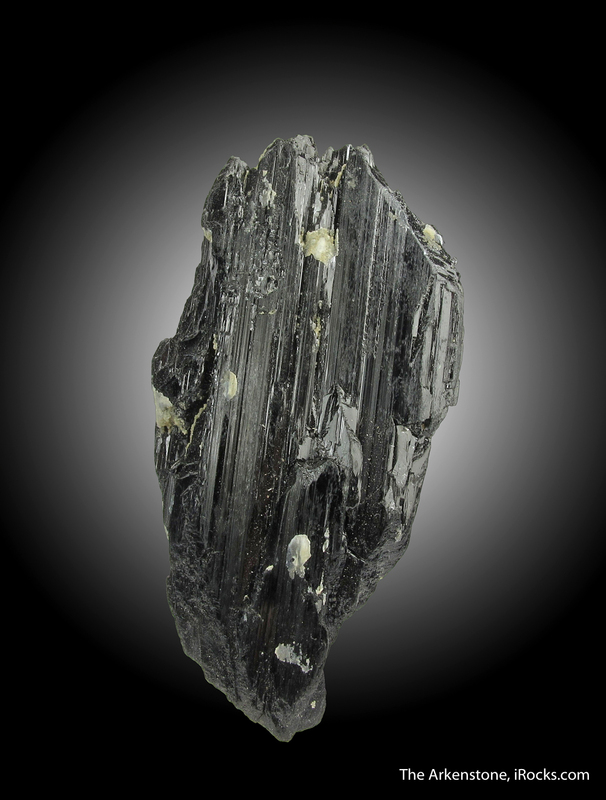 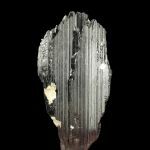 This jet black crystal has remarkably uniform color, and an excellent, striated luster. 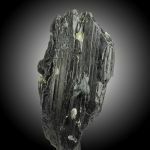 It is one single crystal, with both etching and some contacting along the perimeter. 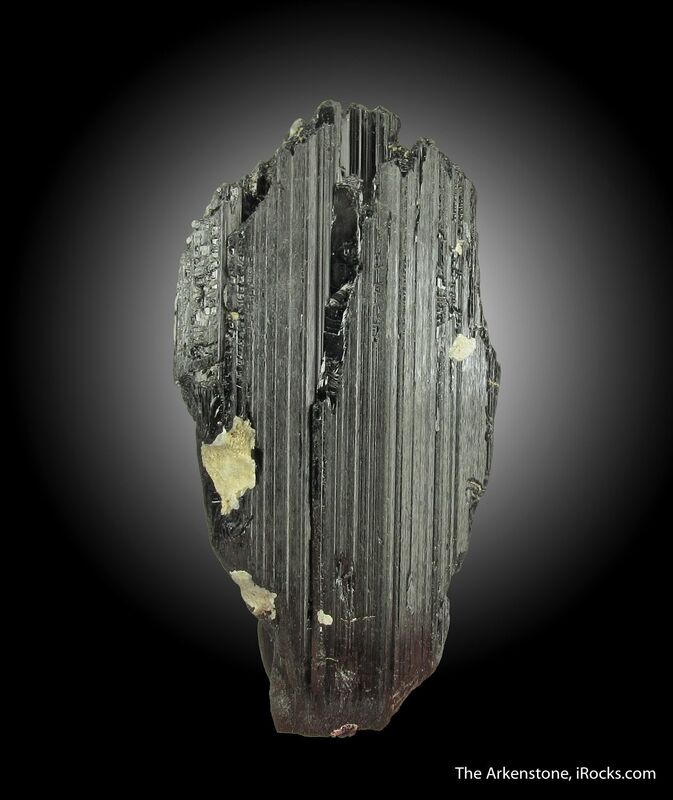 For what it is, a very fine crystal.